There are lots of benefits to living frugally. Aside from being able to better manage your finances, pay down debt, save cash, and spend responsibly, living a more frugal life is a great way for most of us to manage stress around finances and stay on top of things. 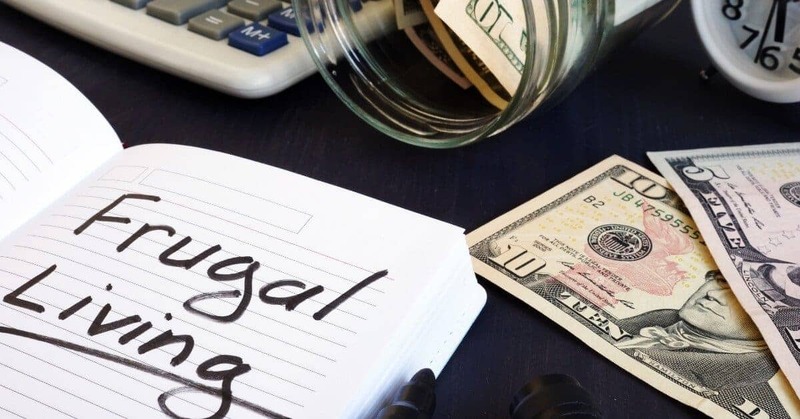 However, in your quest to better manage your money, you might find that there is such a thing as being too frugal – and that’s something you need to avoid. Whether you’ve recently made a shift to live more frugally or you’ve been embracing frugality for as long as you can remember, it’s important to be conscious of your spending and saving habits and to know when to draw the line. Worried you may have crossed that line and entered “too frugal” territory? 1 – You constantly stress about cash. It’s definitely important to know where your money is going. Without knowing how you spend your cash, it’s impossible to make a budget or know whether or not you’re making wise spending decisions. However, if you’re constantly agonizing about money to the point where you can’t buy bottled water without considering it a splurge, you may need to step back and evaluate just how frugal you’re being. 2 – You have to justify every purchase you make. Most people can make a purchase without dwelling on it. You find the thing you want, you complete the transaction, and you go on your way. For some, however, there’s got to be another step – the justification of your purchase. While it’s important to justify big purchases, like a new sofa or a television, you shouldn’t need to rationalize ordering the entree that’s $2 more expensive than your first choice on the lunch menu. 3 – You can’t buy anything that isn’t on sale. While it’s wise to shop the sales when you can and to use coupons when they’re available, you can’t justify depriving yourself of essentials just because you can’t get them at a discount. If you’re unwilling or unable to make yourself buy stuff that isn’t on a steep sale, you might need to reconsider just how frugal you’re being. 4 – You’re putting your health at risk. Your health – and the health of your family – should always be a priority, financially and otherwise. If you’re delaying critical visits to the doctor or dentist because you don’t want to spend the money, or you won’t buy the medicine you need to fight your cold, it’s time to reevaluate just how much you care about saving cash. This includes your emotional health. Everyone needs to let loose and have fun once in a while to stay sane. If you can’t spend a little money on self-care, you may need to review your spending habits and accept the fact that you’re being a little too frugal for your own good. 5 – You can’t get rid of anything. If you’re holding onto old stuff because you can’t bear the thought of tossing something that might still hold value, you should reevaluate how frugality is impacting your life. Being able to let go and get rid of things is important, and if your mindset around money isn’t letting you do that, it’s probably time for a shift. 6 – You always go for the cheapest option. While there’s certainly merit in saving money to get a great deal, it’s important to understand that you get what you pay for. In many cases, spending a bit of extra money on the better product is a much better deal in the long run, as you won’t be forced to replace it as often. This applies to nearly everything, from the big-dollar item like cars and appliances to cheaper stuff like shoes and jeans. While there are plenty of merits to living a frugal lifestyle, it’s important to keep your eyes open and watch your habits to ensure you’re still making smart decisions. What would being “too frugal” look like for you and your family? Leave a comment and let me know! Being frugal is a good thing, but I can see how taking it too far can be detrimental to your life. Luckily, I am not too frugal, so I don’t need to worry about this. However, this is also a good reminder to not allow ourselves to slip into that too frugal way of life. It’s quite like when something’s good, more should be better, but it’s not always the case.